Need funds to support international research studies! Everybody dreams of achieving their goals! I too have dream!! To be design a habitat for space! Seems Unreachable just like Mars for Elon Musk! With degrees in Architecture, Management and Robotics, I wish to pursue research in Space Architecture, by joining the only course related to Space Architecture, in university of Houston! I am not a topper, just an above average scorer! I got into MS in Robotics, with a scholarship, and will do my best to gain for further too! Yet one cannot escape other charges! One cannot guarantee! Thus I am seeking your support! IN RETURN : I wish to share this self designed t-shirt with you, which you can flaunt, or gift! 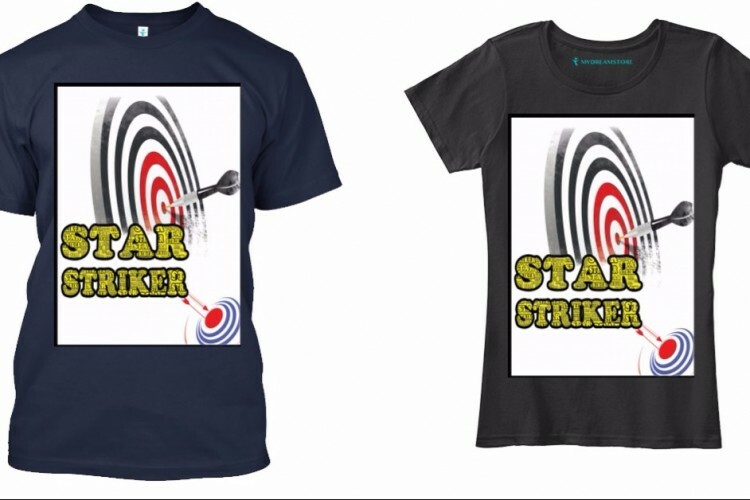 the message "STAR STRIKER" is for everyone! Everyone won their First race to come into this world! And that was the toughest! Now just Live and enjoy life!! One can achieve anything they want! Be it scores, college admission, fighting depression or just a new job!! YOU CAN DO IT because YOU have DONE it BEFORE! Really value your support and it will go a long way! Your share could be as good as a donation for Akanksha Rastogi! Not everyone can afford to take care of their loved ones. Akanksha Rastogi's life can only be saved by donations made by kind people like you.